Railpictures.ca - Dave Burroughs Photo: A thunderstorm had just passed by when the sky cleared enough to get the setting sun to light up a Tempo Train led by CN 3154 at Hamilton West. | Railpictures.ca – Canadian Railway Photography – photographie ferroviaire Canadienne. 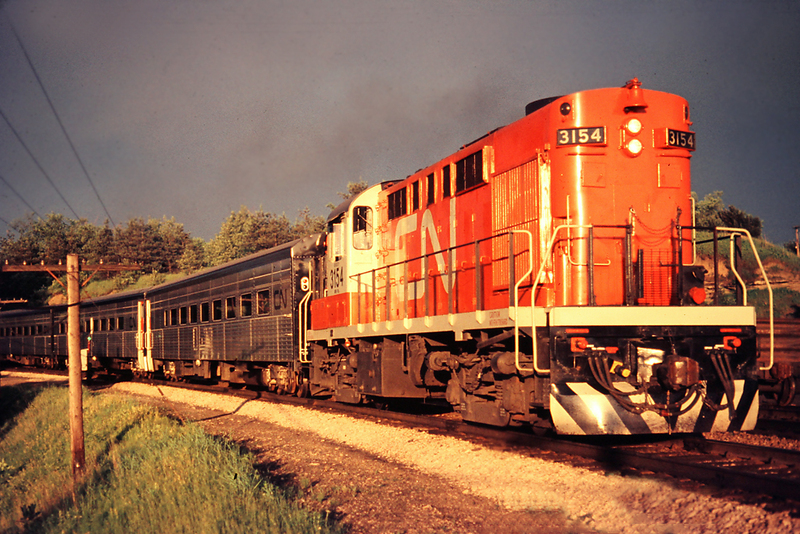 Caption: A thunderstorm had just passed by when the sky cleared enough to get the setting sun to light up a Tempo Train led by CN 3154 at Hamilton West.